The nation’s capital is an area of great contradiction. There are areas of very built up housing, some dedicated to the arts, some awash with history and others home to some of the UK’s financial powerhouses. Fulham is another are that adds to the capital’s rich and varied nature. Not only is Fulham home to one of the capital’s better known football clubs, Fulham is also home to a significant number of parks and open spaces. Not surprising that Fulham and the surrounding area is one that is considered one of the wealthier parts of the capital. All these prosperous types will spend a fair amount of their day being wined and dined by potential colleagues and associates. Indeed, corporate functions and entertainment play a key role in this part of town. This is where hog roast Fulham comes into play. Hog roast Fulham events are a great way to impress your clients and colleagues with stunning food without the need to sell some property! These are, after all, tough economic times even in the capital, so getting more for less is always a prime concern. One might ask one’s self ‘why is hog roast suddenly so popular?’ and it is a good question, but suddenly may not be entirely accurate. Hog roast, you see, has never been away. Hog roasts have continued to be enjoyed for years, and of course they have a history of being the favoured feast for royalty and the richer members of society. 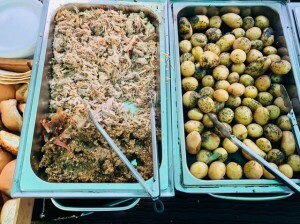 But hog roast has never really been seen as an option for corporate events, at least until the last few years. 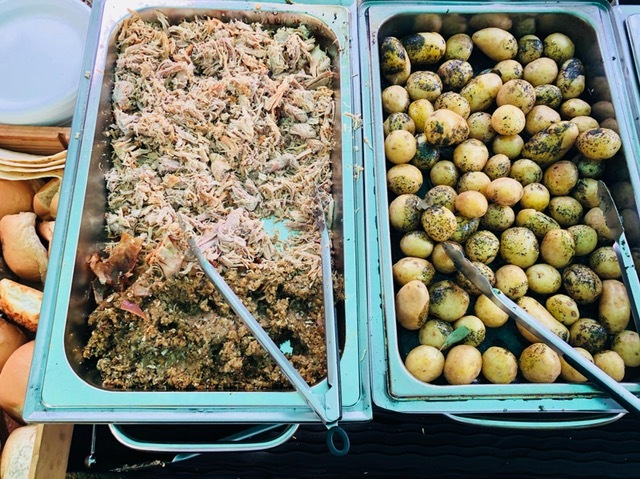 A hog roast Fulham event really could prove to be something of a masterstroke for you if you are considering planning such an event. There really is a lot about a hog roast event that could help you win friends and influence people…or, to be more blunt, help you win that promotion or secure that all important deal. Picture the scene. Your important guests enter your venue probably expecting to dine on the same old event food as always. You know, all the usual suspects including beef dinners, turkey, lamb. Nothing wrong with them, of course, but they have all been done to death at corporate events. Well, you are going to surprise them. One of the first sights that will greet your guest is that of the hog roast caterer and the shiny splendour of the hog roasting machine. From the very moment your guests see this, together with a glorious whole pig in place; they will know they are in for something quite special. In fact, they will already be savouring the delicious aromas that fill the air. You have earnt yourself a brownie point already! When they begin to eat the hog roast – which makes for a very professional plate of food, it has to be said, and then those extra Brownie points will soon on their way to you. 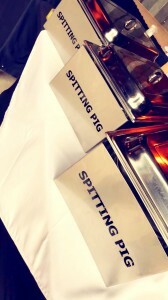 Make your event a hog roast Fulham event and you will never look back.